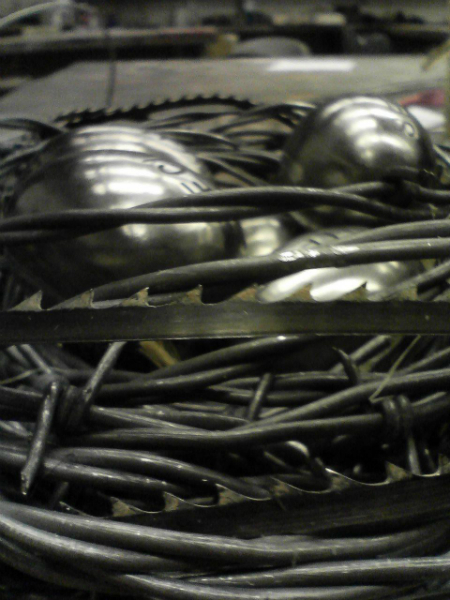 Cast iron, barbed wire and saw blade. As with most of my work, this sculpture is about an individual’s relationship with others. 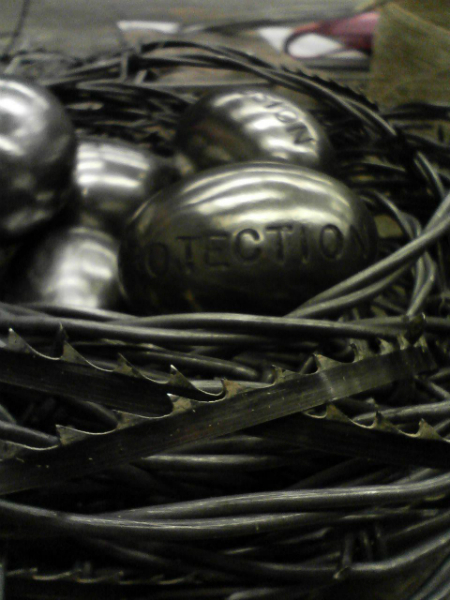 We tend to build these protective walls around ourselves to keep people from being able to hurt us. 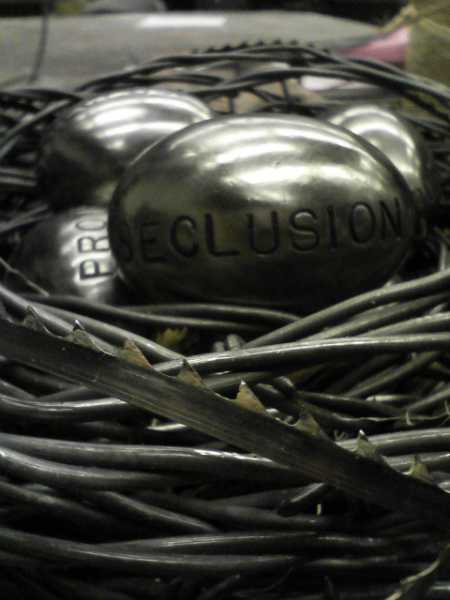 The side effect of this is that we are secluding ourselves from the world as we build our own fortresses. We can’t experience the joys of being human, the company of others, loving with an open heart, etc and still protect ourselves through seculsion. 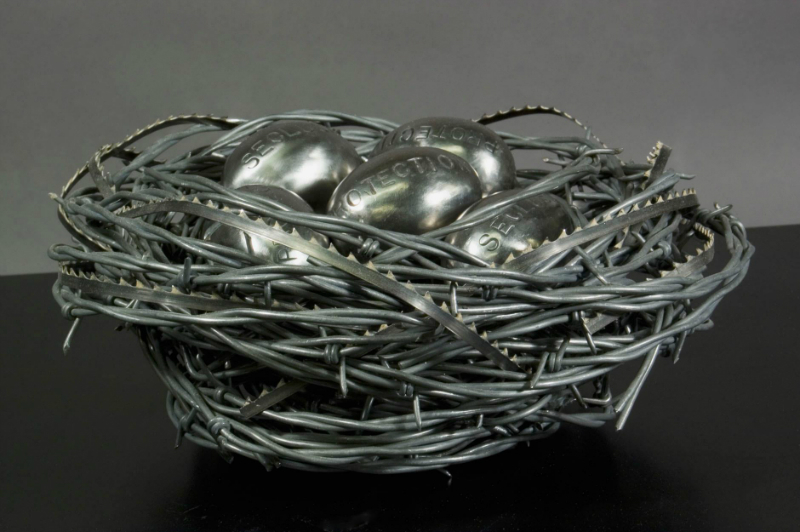 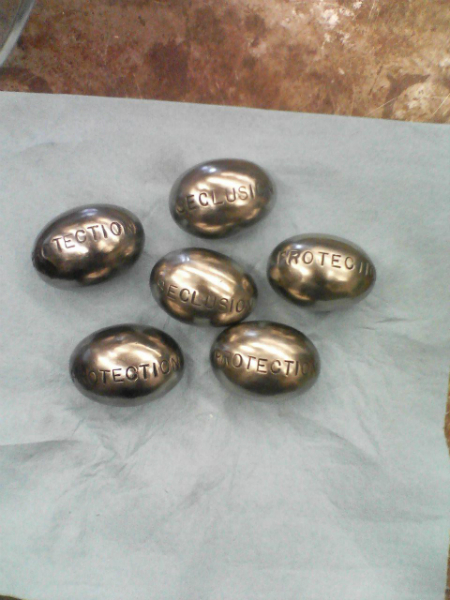 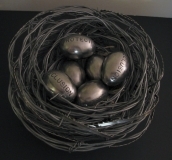 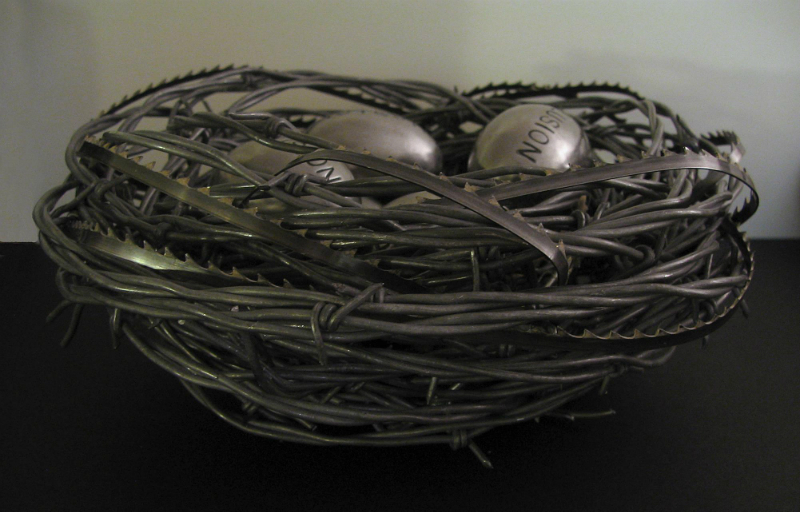 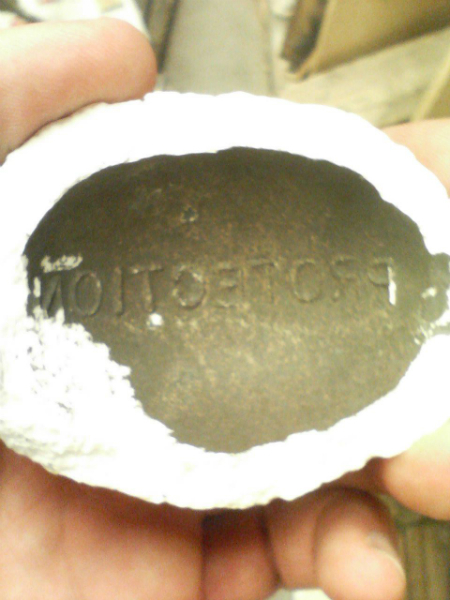 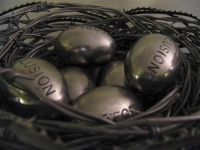 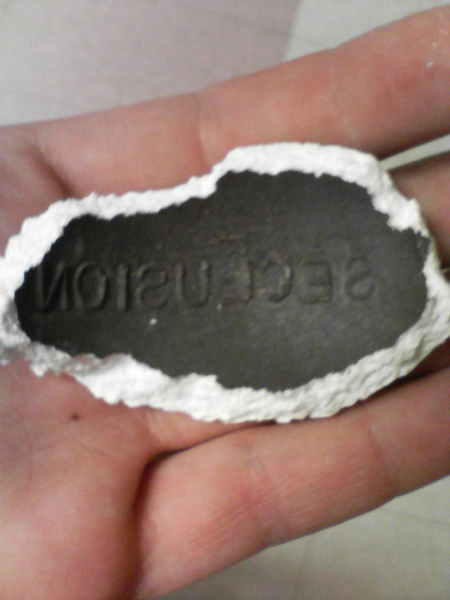 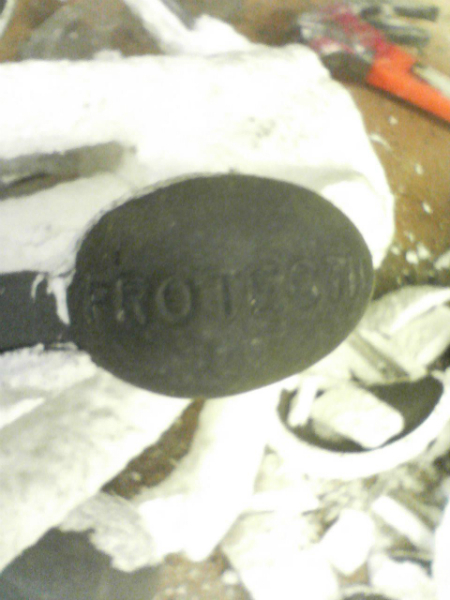 These iron eggs have the words “PROTECTION” AND “SECLUSION” imprinted upon them to illustrate this. They rest in a very inhospitable nest. 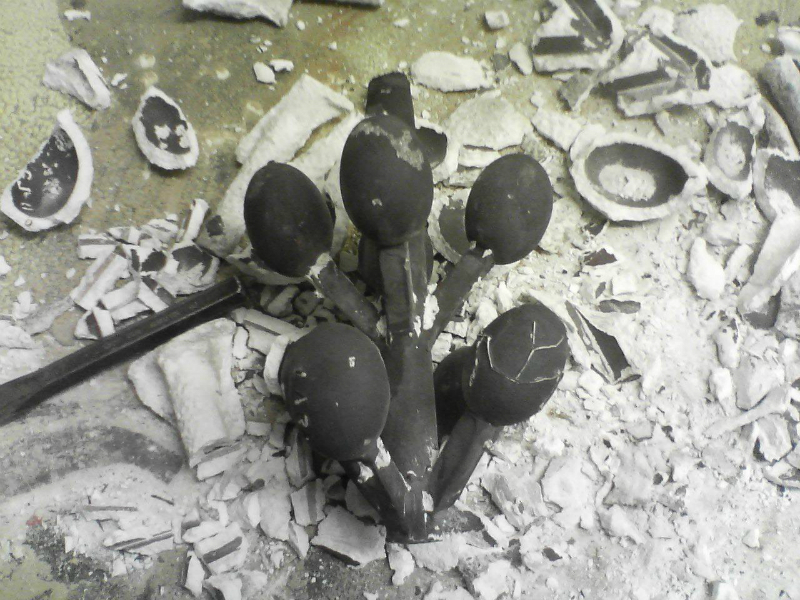 This sculpture was blogged about here. 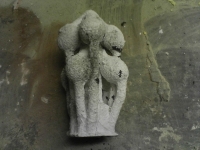 It can also be seen in the following video from a TV spot for The Love Show, a Valentines Day themed art exhibition created and curated by Dana Cain.